The proposal to re-introduce tax on Savings and Credit Cooperative Societies (SACCOs) has been rejected by Members of Parliament. 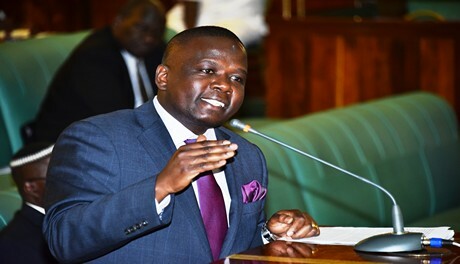 The legislators overwhelmingly supported the report of the Finance Committee presented on the Income Tax (Amendment) Bill, 2018 presented by the Chairperson, Hon Henry Musasizi on Thursday, 24 May 2018. The Committee observed that the Income Tax (Amendment) Act, 2017 exempted SACCOs from income tax for 10 years. The committee therefore, recommended that government should conduct a study on the effect of exemption of taxes on SACCOs before re-introducing the law. “The Bill proposes to introduce the tax before assessing the effect of the exemption. No study has been made to enable the committee to make an informed decision on the re-introduction of the tax,” said Musasizi. The Speaker of Parliament, Rebecca Kadaga, expressed concern saying that, MPs spent over two hours debating taxation of SACCOs in the last financial year. “I am surprised that this tax is back. Minister, what is happening?” Kadaga inquired. Hon Silas Aogon (Independent, Kumi Municipality) argued that it is not reasonable to change the law within a year. “The people who are suffering are the ones in the villages. The SACCOs are trying to lift our people from poverty. Taxing SACCOs is unacceptable,” said Aogon. Hon Jalia Bintu (NRM, Masindi District) said that a year is not enough for government to conclude that SACCOs should be taxed. “In any case, SACCOs are indirectly paying taxes. They pay operational licences, Local Service Tax as well as Withholding Tax,” said Bintu. Hon Henry Kibalya (NRM, Bugabula South) said that government has an obligation to promote a saving culture among its citizens and this can largely be done through SACCOs. “The current law says that after thorough assessment, SACCOs can either be taxed or not. The word ‘thorough assessment’ should be removed so that SACCOs are never taxed,” said Kibalya. Hon Santa Alum (UPC, Oyam District) said that banks are discriminatory in nature because majority are in urban centres while SACCOs are in rural areas. “The law on exempting SACCOs from taxes was enacted just a year ago and we have not yet determined that SACCOs are making profit to tax them,” said Alum. Hon Herbert Ariko (FDC, Soroti Municipality) noted that majority of Ugandans have been keeping money informally and the emergence of SACCOs is promoting formal savings. Hon Odonga Otto (FDC, Aruu County) however, differed saying that taxes are targeted at SACCOs that are making huge profit. “There are some SACCOs like Wazalendo which are bigger than banks and this could be the reason as to why the Ministry of Finance based its decision to tax SACCOs,” said Otto. Hon Pentagon Kamusiime (NRM, Butemba County) said that exemption of SACCOs from taxes should not be promoted at the expense of the growth of the formal banking sector. “Government can give SACCOs time to mature but they should eventually be taxed so that they can compete favourably with the banks,” said Kamusiime.